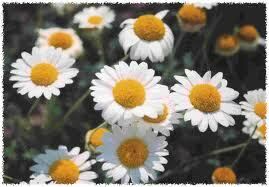 There are mainly 2 different chamomiles used in aromatherapy: German or “blue” chamomile and Roman chamomile. German chamomile (Matricaria recutita): An annual aromatic plant, up to 60 cm high. It has a branching stem, feathery leaves and simple white flowers with a yellow center. It is native to Europe, but is now naturalized in North America and Australia. It is mainly cultivated in Hungary and eastern Europe where most of the oil is produced. All over Europe it can be found growing along fields and road-sides. The name “German” comes from earlier days when Germany was its main producer. It is often called Blue chamomile thanks to its deep blue-green color due to the chemical chamazulen. Chamazulen is not present in the fresh flower, it is only produced during the distillation process. The oil comes from steam-distillation of the flower heads. It has a long tradition as a medicinal herb for all kinds of tension and for its anti-inflammatory properties. Usually it has been used in the form of tea or infusion. The scent is herbaceous with a fruity tinge. SKIN: All kinds of inflammation; Acne, boils, dermatitis, eczema, inflammations, insect bites. MUSCLE: Anti-inflammatory; rheumatism, inflamed joints, aches and pains, neuralgia, fibromyalgia. EMOTION: Calming and relaxing to the nervous system; Headaches, insomnia, nervous tension, stress. This is a safe oil to use for children, elderly and weak individuals. Remember to keep the dosage down. 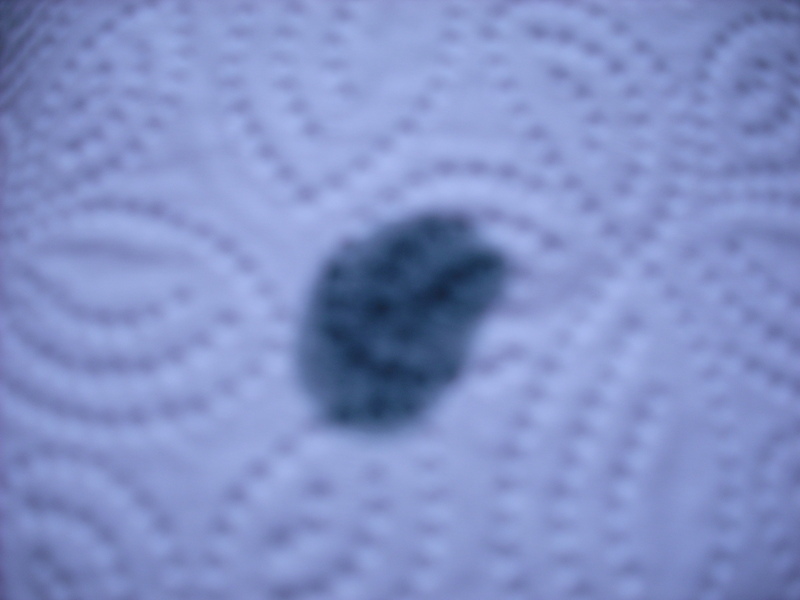 The oil will stain both skin and materials. Roman Chamomile (Chamaemelum nobile): A small perennial plant, up to 25 cm high with a branched hairy stem, feathery leaves and white flowers with yellow centers, the flowers are larger than those of German chamomile. The whole plant spreads in a creeping manner and has an apple-like scent. It is native to southern and western Europe, now naturalized in North America. It is cultivated in England, Belgium, Hungary, USA, Italy and France. The oil comes from steam-distillation of the flower heads, the scent is warm, sweet and herbaceous. It has been used as a medicinal plant for at least 2000 years, especially in the Mediterranean area. The ancient Egyptians made note of it, as did the Romans. The ancient Greeks called it earth-apple (kamai – earth +melon – apple) which later turned into chamameleum. 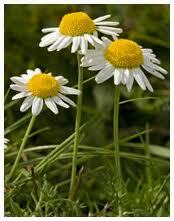 It is used much in the same way as German chamomile, being calming, anti-inflammatory, hypnotic and a nerve sedative. The roman chamomile has a different, more profound calming action than the German C. According to Dr’s Franchomme & Penoel, Roman chamomile is useful as a calming agent before operations. This oil is safe to use for children, elderly and weak individuals. Remember; lower dosage. Excellent oil for babies suffering from colic. Experience: I have had great use of Roman chamomile for my children when they have suffered from stomach-ache or anxiety. Colic: Blend 1 drop in 5ml vegetable oil, rub on tummy (clockwise) cover with a warming pad, lay against shoulder and rock baby gently. The oil, soothing motion and the massage that is given by the rubbing against the shoulder usually helps baby to calm down. German chamomile is brilliant as an anti-inflammatory for most skin-problems, even eczema. Just pay attention to dosage. I find the scent reviving though calming. I have used it with great success for horses; both emotionally and as a healing agent for wounds.